This summer, take advantage of the opportunities provided by the 21st Century Community Learning Center program. 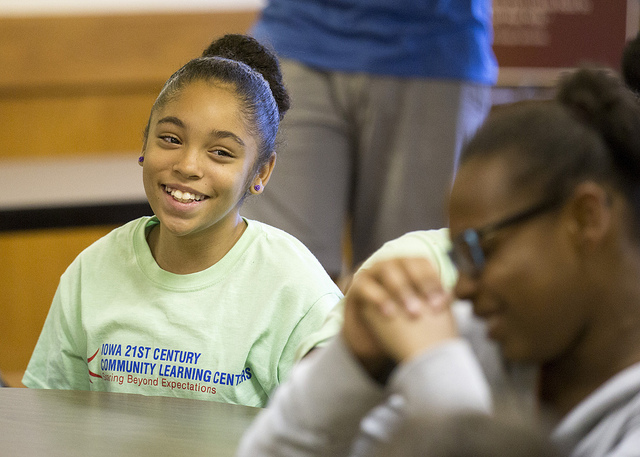 Des Moines Public Schools is pleased to announce we will once again offer FREE summer programming available at middle schools through our 21st Century Community Learning Centers between June 11 and July 20, 2018. Programs will be run by teachers/coaches and community partners at each school building, which means this is a terrific way for new 6th graders to make friends and build relationships and our 7th and 8th graders to strengthen bonds before the school year even begins. The summer program includes enrichment programs designed to support reading and math, as well as intramural sports clubs; healthy cooking; service learning; arts and music; and a variety of other choices for students! Sessions are filled on a first-come first-serve basis. If your first choice is full, please feel free to make another choice. To register click the link at the top of this page.